Tantalum capacitors are used in smaller electronic device including portable telephones, personal computers, and automotive electronics. It also offer smaller size and lower leakage than standard. . The Polarized and Non-Polarized Capacitors. 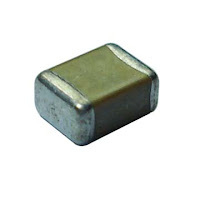 This are the Capacitors may look like that are being used in mobile phones circuit. Non-polarized are similar to polarized except the plates are similar metal. Polarized caps are typically used in large voltage situations, such as DC line filtering to reduce noise related to uneven voltage levels after rectification from an AC source. Mainly measured in microfarads. Polarity is critical to these devices. They are marked with the voltage rating (usually double the circuit voltage used) as well as the farad marking. Tantalum Capacitors which is polarized, and may be used in DC circuits. Typical values range form 0.1uF to 470uF. Standard Tantalum values change in multiples of 10, 22, 33, and 47. Normal Temperature Coefficient [TC] for Tantalum Capacitors is +5%. 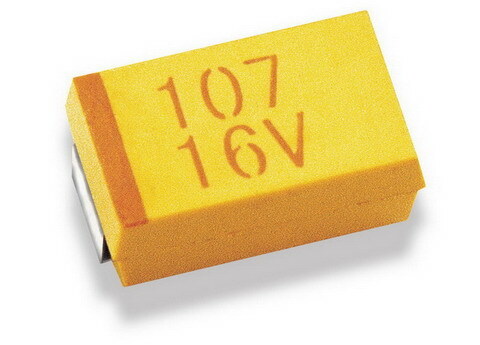 Polarized capacitors are typically used in large voltage situations, such as DC line filtering to reduce noise related to uneven voltage levels after rectification from an AC source. Mainly measured in microfarads. Polarity is critical to these devices. They are marked with the voltage rating (usually double the circuit voltage used) as well as the farad marking.